Today, most consumers are interested in and eager to experience food from around the world. No longer is global cuisine meant only for the adventure-seeker. From Pan-Latin to Italian, from Thai to Lebanese, globally inspired flavours are making a quiet foray into mainstream cuisine everywhere. Combine this with the ‘natural’ trend, which has permeated borders, and you have a tremendous demand for exotic products that are healthier and do not compromise on taste, colour or flavour. Synthite’s range of Natural Flavours makes it possible to deliver innovative product solutions. From reinventing a conventional product offering to delivering a cleaner product label, or significantly reducing costs, we offer a variety of solutions for food, beverage, functional and confectionery applications. And our product development team offers comprehensive support in developing custom flavour formulations as well. 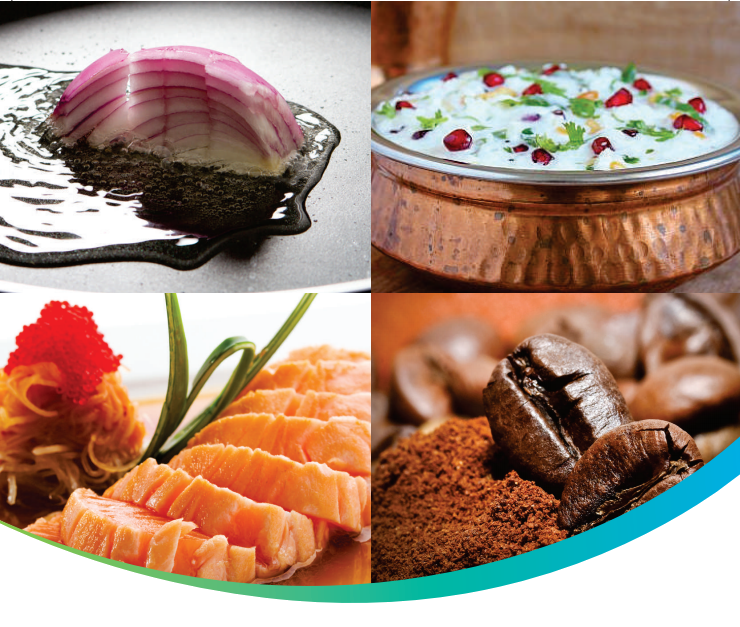 At Synthite, we believe the world is a melting pot of flavours!